Sterlco® 4200 Series Boiler Feed Pumps set new standards of performance. Reliable and efficient, each unit features heavy duty cast iron receivers for long operating life. In addition, 3450 RPM motors assure maximum efficiency while maintaining minimum motor horsepower. Available in a wide range of sizes, these U.S. made pumps have just the right accessories and options to meet your unique needs. What’s more, a nationwide network of stocking distributors means fast, easy, year-round access to pumps and replacement parts. 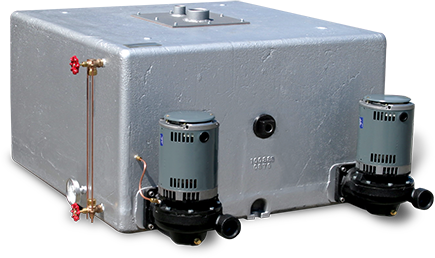 Why Chooose 4200 Series Boiler Feed Units? Sterlco® Boiler Feed Units are designed to keep you running at peak performance and uniquely positioned to support your needs.